World Blood Donation Day is celebrated annually on June 14 across the globe in order to raise awareness of the need for safe blood and blood products. Established in 2004, all countries take part in events to raise awareness of the need for blood donations. In Greece, there has been a shortage of blood available at hospitals over the past several years. 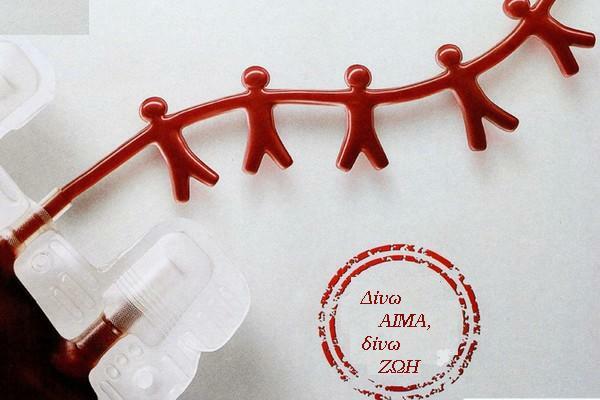 It is estimated that in Greece some 700,000 units of blood are required every year, however, only 35 percent of that total is collected from voluntary donors, while some 70 percent of the blood collected comes from relatives and friends of patients and is collected from replacement donors, such as relatives and friends of the patient, according to figures by the National Center for Blood Donation (EKEA). Donating blood is easy and there are many events such as blood drives taking place on World Blood Donation Day in Greece. As long as you are in good health, under 62-years-old, have not taken aspirin 4 days before the time you are set to make your donation, are not on cholesterol reducing drugs or blood pressure medication and have not had a serious operation in the last year then you can donate blood. For more information look here.